Smt. 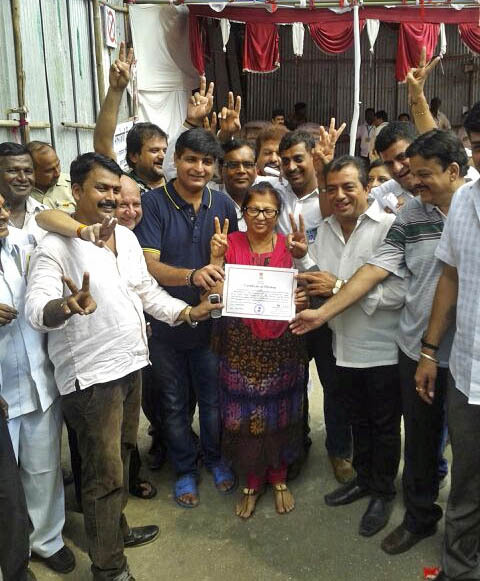 Jyoti Papu Kalani won the Vidhan Sabha Legislative Assembly election from Ulhasnagar with 43760 votes. She represented “Nationalist Congress Party” seat from Ulhasnagar. Her close opponent Mr. Kumar Ailani from BJP lost the seat by 1863 votes. 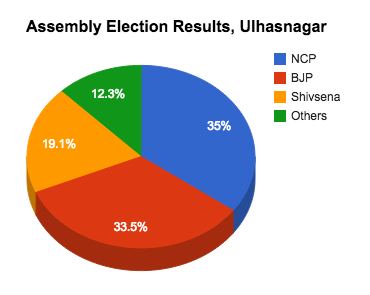 Bodare Dhanjay Baburam from Shivsena could only secure 23868 votes.